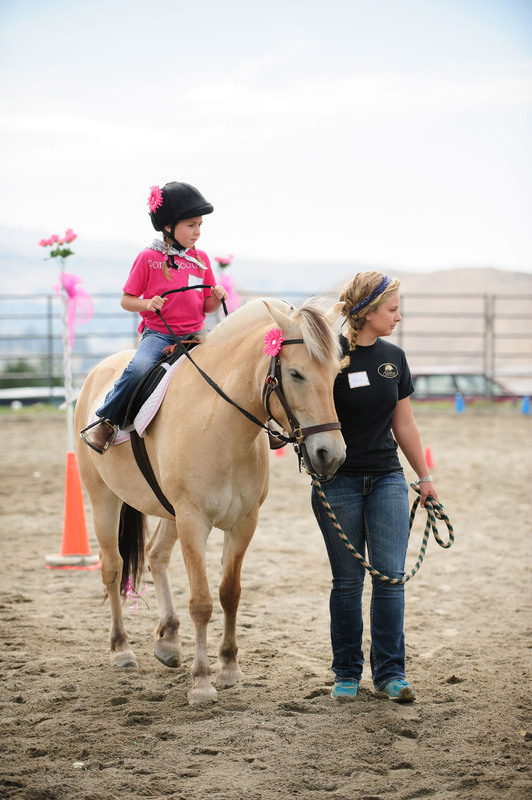 Therapeutic Riding is movement oriented and does not emphasize riding skills; instead the goals are geared towards independence in life skills. With up to 100 balance accommodations to the rider’s body for every minute a participant is on a horse, the physical benefits are profound. In addition the rider receives multi-sensory input including a swing in the pelvis that is similar to walking. This movement translates into improvements to balance, strength, coordination, postural symmetry, lymphatic system performance, and digestion; resulting in increased independence with daily functional activities such as walking, dressing and communication. Alatheia Riding Center currently offers therapeutic and adaptive riding, and is a member of the Professional Association of Therapeutic Horsemanship International (PATH, International). 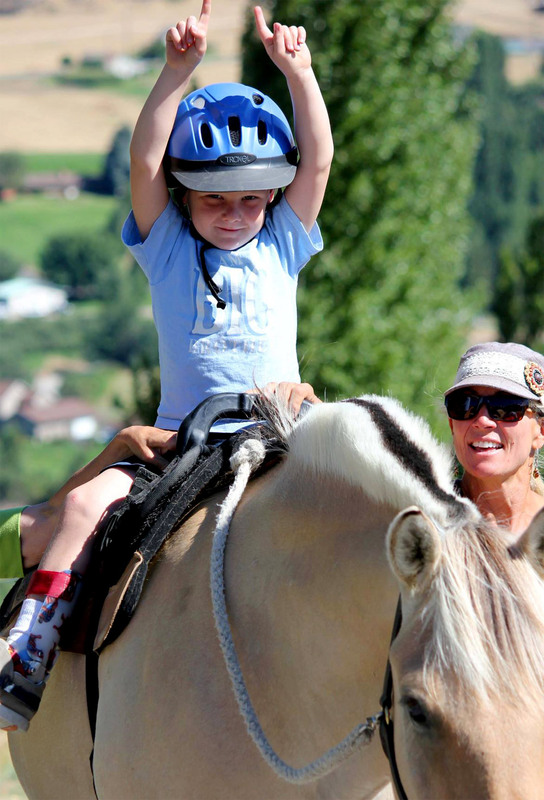 Adaptive Riding is geared toward developing real riding skills. Modifications are made to equipment and teaching methods to meet the needs of each unique rider. 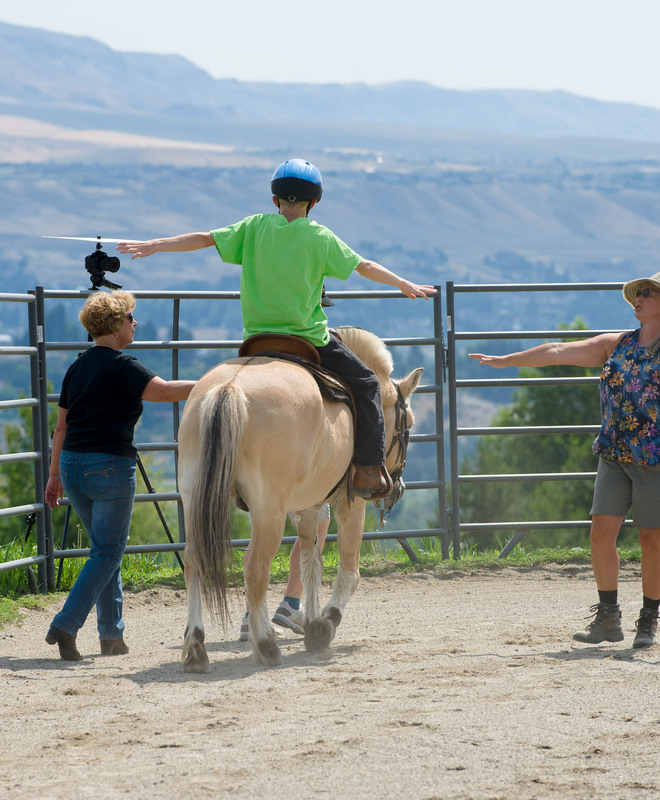 Many of our Adaptive Riding participants become progressively independent, and in addition to the benefits previously mentioned also receive a great sense of accomplishment from their hard work. Hippotherapy is a physical, occupational or speech and language therapy treatment strategy conducted by a licensed medical professional that utilizes equine movement. Hippotherapy literally means “treatment with the help of the horse” from the Greek word, “hippos” meaning horse. We are currently have a relationship with a certified therapist and are working towards a billing model with Confluence Health to provide this service.